Cleveland Area History: Public Square in 1839, in color! 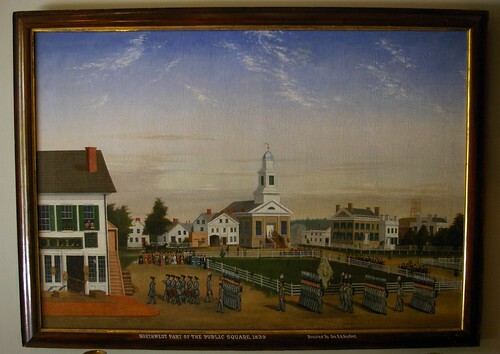 There's what appears to be a church steeple under construction on the right side of the painting. Might that have been the Second Presbyterian Church?